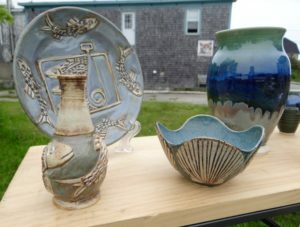 The Lubec Market is “the Easternmost Market in the U.S.A.” Founded in 2011, the market has more than 15 vendors, offering fresh organic vegetables, seedlings, potted plants, herbs, fresh baked breads, cookies, fused glass bowls and earrings, juried pottery, art, photography, goat cheese, hand-crafted soaps, fresh-picked lettuce, duck and chicken eggs, organic cow’s milk and cheeses, frozen chicken, and more. Come early to enjoy food, camaraderie, and live music from local musicians. 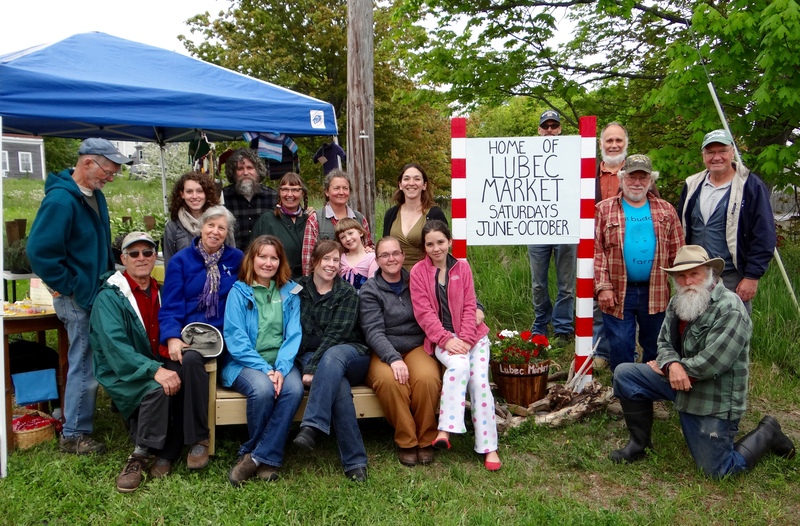 The market takes place on Water Street, nearly under the shadow of the [Lubec Narrows?] 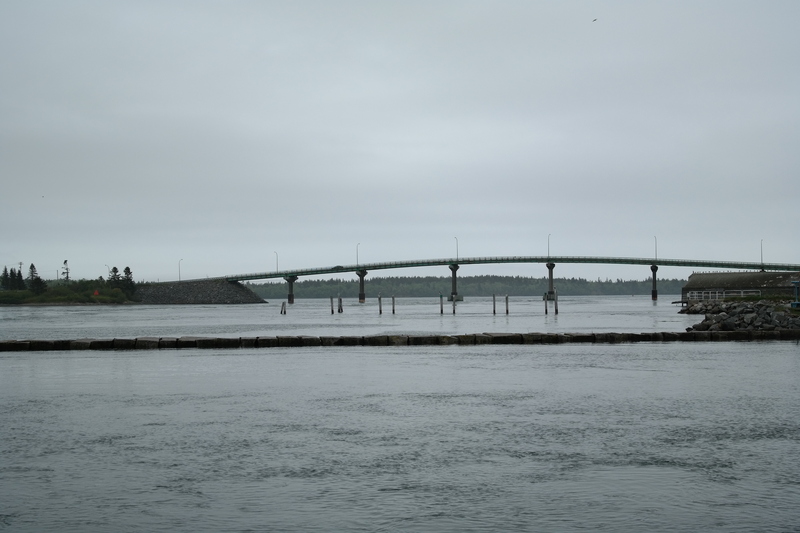 bridge to Canada. 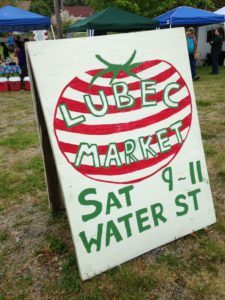 After filling your picnic basket with goodies from Lubec Market, there are two appealing picnic spots to consider nearby. 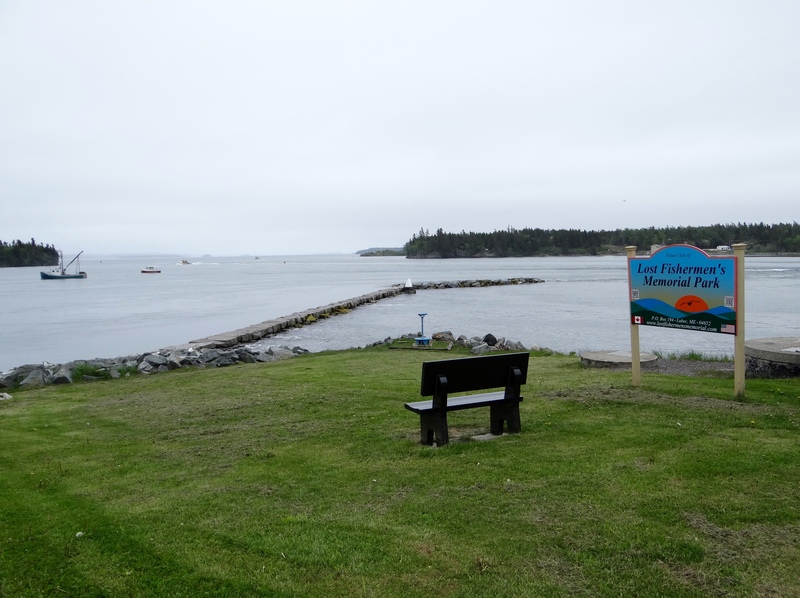 The Fishermens’ Memorial Park is just 2 blocks up Water St. from the market. 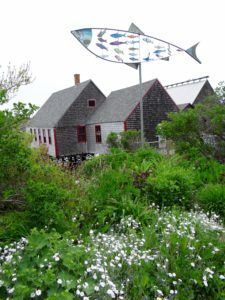 From this grassy promontory you can watch lobstermen at work in the harbor, admire the Mulholland Light on Campobello Island, and watch the area’s dramatic tides ebbing and flowing. The park has grassy areas and benches. 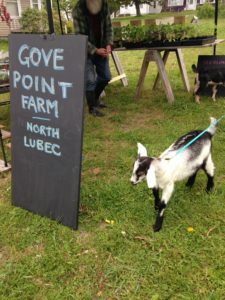 For those wishing to explore the shoreline, there’s an excellent opportunity just down the road from the farmers’ market. 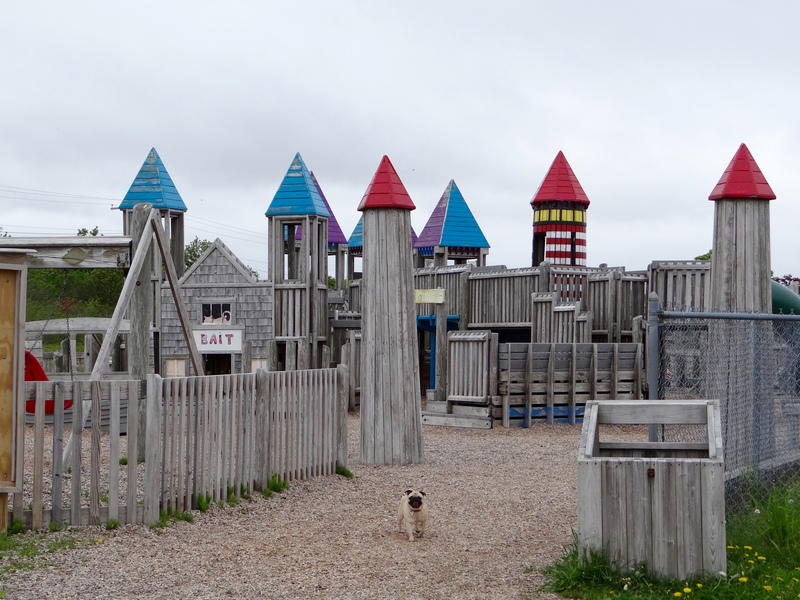 Parking is plentiful behind the Lubec Consolidated School (where there is a nautical themed playground for children, as well as basketball courts), and a large sign clearly designates the Mowry Beach Trail. 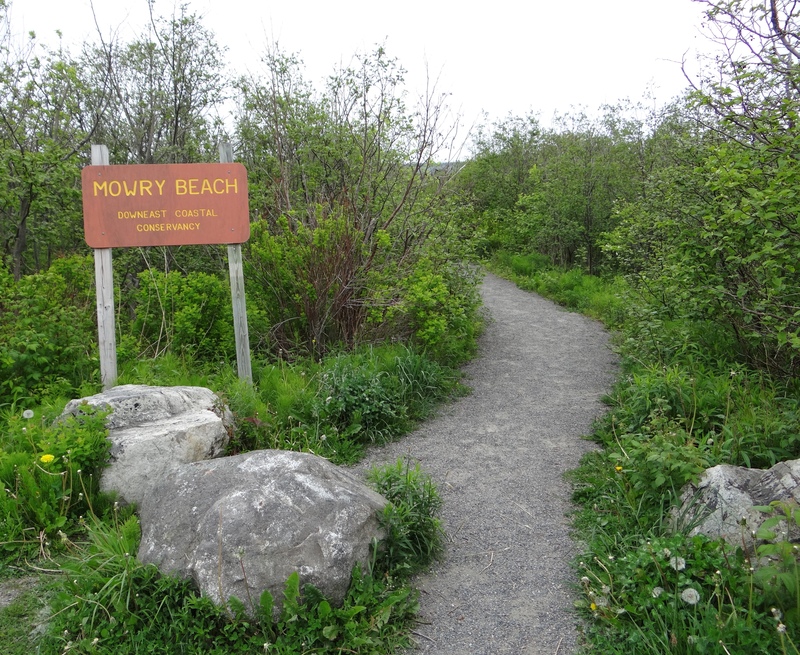 The trail’s boardwalk passes through fairly wild terrain before emerging at the rocky beach. (There’s a much shorter trail to the beach from the end of Pleasant St., though there is little parking there.) 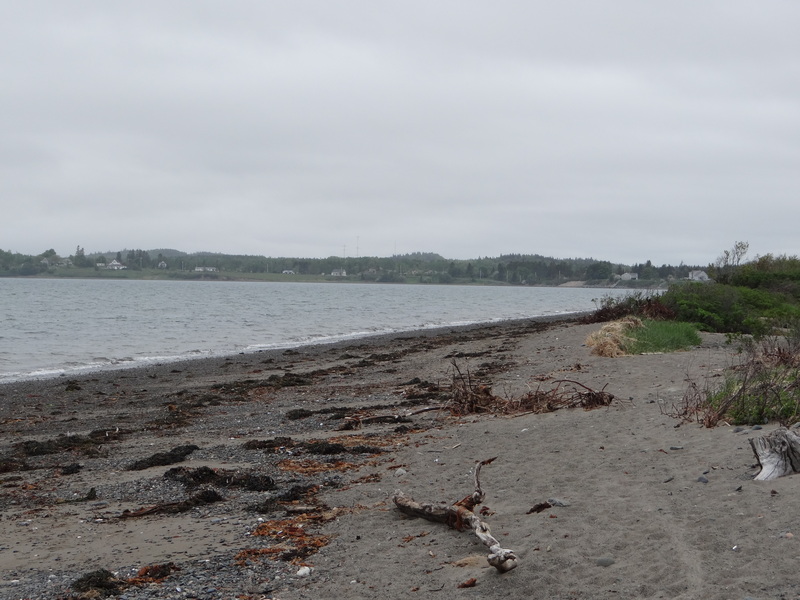 From the beach enjoy views of Campobello Island, the Quoddy Narrows, and Quoddy Head State Park. 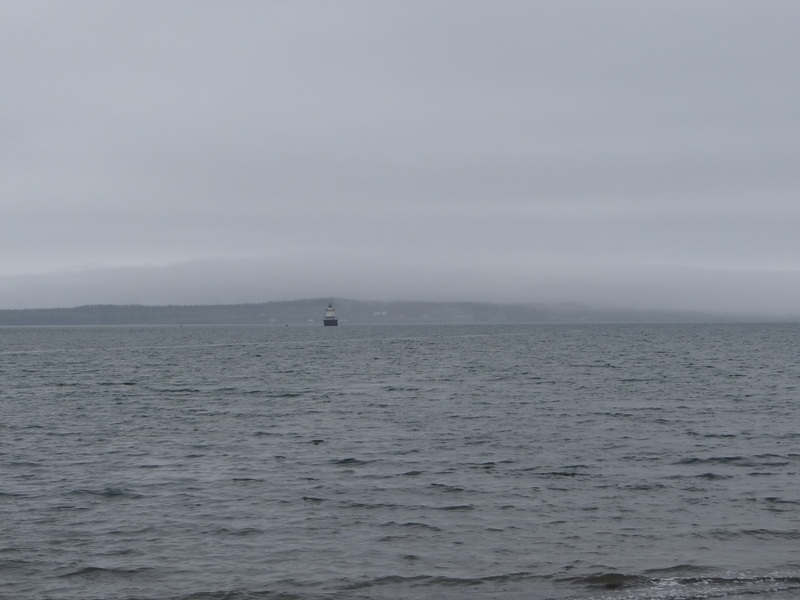 Head out to West Quoddy Head State Park and explore the miles of spectacular trails watching the surf crash on the granite cliffs as bald eagles soar overhead. Then take a leisurely stroll through the quiet majesty of the ancient peat bog with its sacred pitcher plants, wild cranberries and wind-stunted spruce before continuing to a deserted sand beach at Carrying Place Cove. It’s a world-recognized migratory birding paradise, as well, so bring your binoculars and spend some time exploring this environmentally, and relatively unknown, special place.